The key to success in sustaining the watershed. 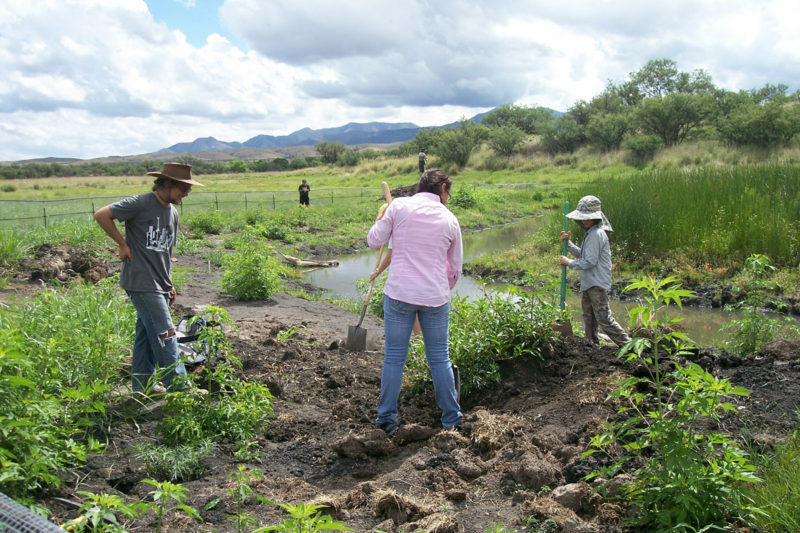 The Cienega Watershed Partnership (CWP) is engaged with individuals, stakeholders, organizations, and agencies in the watershed to sustain the watershed and adjacent areas.
. . . many partners collaborate to generate and disperse resources to implement strategies, programs, and projects that contribute to the ecological health, long-term sustainable use, and cultural richness of the region. The Partnership’s many successful programs and projects provide a means for finding common ground among compete interests. . .
Twenty-nine partners were named in this award for work done in the program areas of youth-engaged stewardship (YES! Youth Engaged Stewardship), oral history preservation, climate change, and conservation of aquatic native species and habitats (FROG Project). This award attests to the collaborative framework that CWP and its partners utilize to resolve issues, develop and implement stewardship programs, and advocate for the watershed. To join the list of partners in programs and projects, please contact us at outreach@cienega.org.